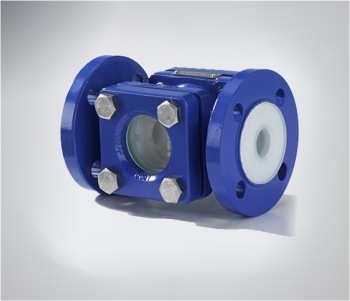 Double Window Type Sight Glass (Sight Flow Indicator) is used to meet industrial requirements of various applications to inspect the process fluid. Double Window Sight Glass contains two toughened glasses mounted opposite to each other. It is available in various thickness and diameter of glass to suit various applications, with respect to fluid pressure and temperature. 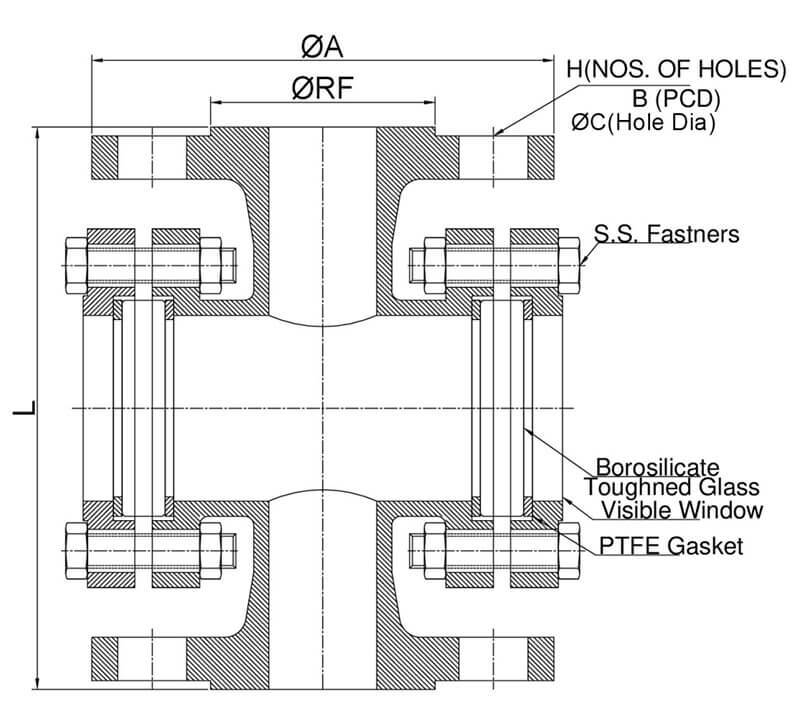 The investment casting construction ensures superior finishing and quality of the sight glass. Double Window Type Sight Glass is very easy to replace glass without dismantling the whole Sight Glass assembly from process line. 1 END PIECE 1 CS / SS +3 mm THK.